At TJs we also stock Ronseals Fence Life and Decking Oil, we believe in the quality of these products and they also compliment the timber products that we sell. 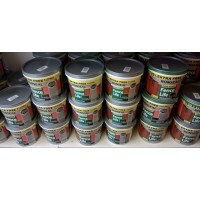 If you wish to provide a splash of colour to your shed, fencing and decking or you just wish to add further protection to your products then make sure you add Ronseal products to your order, it does what it says on the tin. 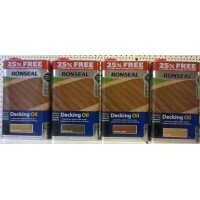 Ronseal Decking Oil - 5 litres for the price of 4 Our Decking Oil nourishes and protects your dec..
Ronseal Fence Life - 5 litres for the price of 4 Unsurprisingly, you only need to use one c..